Ruby red in colour with a soft blue/purple hue. 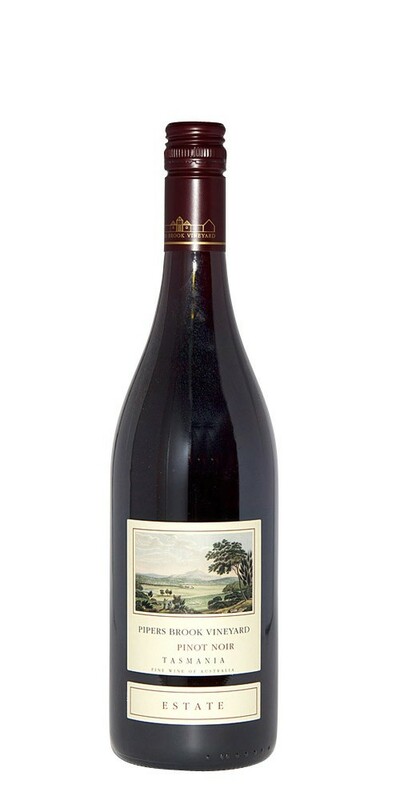 An attractive fine floral bouquet, the delicate fruit sent of strawberry and cherry aromas are well interwoven with the more complex secondary aroma’s of the savoury game meats, leather and dark chocolate, balanced by the nutty vanillin notes from fine French oak maturation. The palate is finely stated, concentrated with nice weight, fleshy fruits, depth and delicate flavours. It displays all the fine maritime hallmarks of cool climate Tasmanian Pinot Noir with ripe and juicy berry fruits, elegantly packaged on the palate with fine long silky tannins that provide just the right level of grip and texture to a flavoursome and lingering finish. This wine goes well with barbecued quail, baked veal wrapped in prosciutto, fig-stuffed pigeon, braised rabbit with pancetta and tomatoes, Chinese style roast duck. The food options are endless and worthy to explore and enjoy. Notes provided by Pipers Brook.